Are we experiencing Philadelphia’s biggest development boom in almost 50 years? In my professional opinion … maybe. Since I’ve only been alive since ’79, it’s kind of hard for me to say. Here is what I will say. No matter how experienced you are as an agent, no matter how long you have been selling Philadelphia real estate, it’s very difficult for anyone to give a straight answer to that question or predict the future of the local market. But … when you have someone who is as experienced and credible as Alan Greenberger (Philadelphia’s current Deputy Mayor for Economic Development & Director of Commerce) say that he has not seen a boom like this since ’74 (the year he moved from NYC to PHL), you know that something unique is currently happening in the City of Brotherly Love. So, how is 2015 any different than the last real estate wave that ended in 2008? The answer, global awareness of Philadelphia’s affordability and accessibility. As I have stated in the past, Philadelphia is not one of the most affordable cities in the US, but we are one of the largest and most affordable cities in the “Northeastern” US. On top of that, we are a Top US global gateway metro, with our neighbor NYC being the largest. “The Northeast” is the most economically developed, densely populated, and culturally diverse region in the entire US. There is more urbanized land than any other part of the country, and we also enjoy large amounts of forest-use/green space (about 60% in total, which is about twice the US average). From just Pennsylvania to Maine, the area is home to over 55M people. When you are located right in between the Financial Capital of the US (NYC, which in 2014 was also named the “World’s Leading Financial Centre”) and the Political Capital of the US (DC, or course), you are guaranteed to receive some attention. Now that Philadelphia has really begun to come into its own, with Center City, University City, and the Navy Yard all leading the charge, the world now has its eyes on us. And when they get here, they will realize just how affordable and accessible Philadelphia really is! Based on the city’s size, as well as the size of the surrounding suburban metro area, you can get almost anywhere using a form of public transportation (i.e. train, subway, or bus). Now that Uber has entered the Philadelphia transportation market, it’s even easier. This is due to the metro area’s compactness, which is a product of density and smart planning over the last 300+ years. 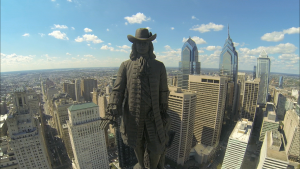 This article states that he sees the current real estate boom in Philadelphia continuing for the next 5-10 years, although maybe not at the same pace throughout that entire time frame. There are still many highly accessible areas in both North/South Philadelphia that have yet to be touched by redevelopment/reimagination from the millennial generation, as these are the folks that are making cities like Philadelphia great again. Just like the Market-Frankford Line has redefined neighborhoods like Northern Liberties, Fishtown, and Kensington, the Broad Street Line has the same potential. It will be interesting to see what happens over the next 5-10 years, and if Greenberger’s prediction is right. Either way, it’s a very exciting time to be living in Philadelphia. If you have ever tried to drive from Northern Liberties to Fairmount in Philadelphia, you know that the streets just north of City Hall can be busy. What’s up, Spring Garden! When I have to make that particular journey, I take Callowhill St from N 2nd St to N 20th St.
It’s an easy cut-through, you should try it sometime. On my way to Fairmount, I always get caught at the traffic light at N Broad St & Callowhill St; it’s almost inevitable. If you know this intersection, then you already know that there are 2 parking lots on the southeast and southwest corners. Not parking garages, surface parking lots. This puts you about 1/2 mile north of City Hall in Center City, Philadelphia. In 2015, those 2 lots are prime real estate. Believe it. North Broad St has come into its own over the past few years, meaning that developers are finally starting to consider large anchor projects along the northern stretch of this famed Philadelphia boulevard. This is in part due to the resurgence of neighborhoods like Fairmount and Northern Liberties, as well as all of the new development now surrounding Temple University. I’ve blogged about other North Broad developments over the past few years. Here, here, here, and here. Today, I am sharing another exciting article about North Broad development … here. There is a lot going on in Philadelphia these days. Some say it’s just the start of something great (I typically fall within that crowd), and others believe it’s the beginning of the next real estate bubble (I can see some logic on that side as well). As for me, I tend to look at real estate in 2 very simple ways: 1) Renting, and 2) Buying. If you do not buy real estate, you are a renter; unless you happen to have a super-cool family that supports your housing needs, and you in turn are okay with that arrangement for the rest of your life. But if you do not rent real estate, you are a buyer. “Renting” and “Buying” both relate to the theory of supply/demand in real estate. When renting is up, buying is down; and vice versa. That’s why renting has become so expensive over the past few years. Buying was slow following 2008, and remained slow for the years that followed. Rentals have been performing well since 2008, and this is what has caused rental rates to rise in Philadelphia. But buying has become a more viable opportunity today, and the momentum is now shifting. Because I personally look at all markets as “Rent vs. Buy,” it’s easy to make correlations on how a certain city and/or metro area is performing. In 2015, many markets offer buying opportunities that are less expensive than their rental counterparts. But now that most US metro areas are considered “Sellers’ Markets,” with some metro areas already being sellers’ markets for some time now, that may be changing sooner than we all want to believe. 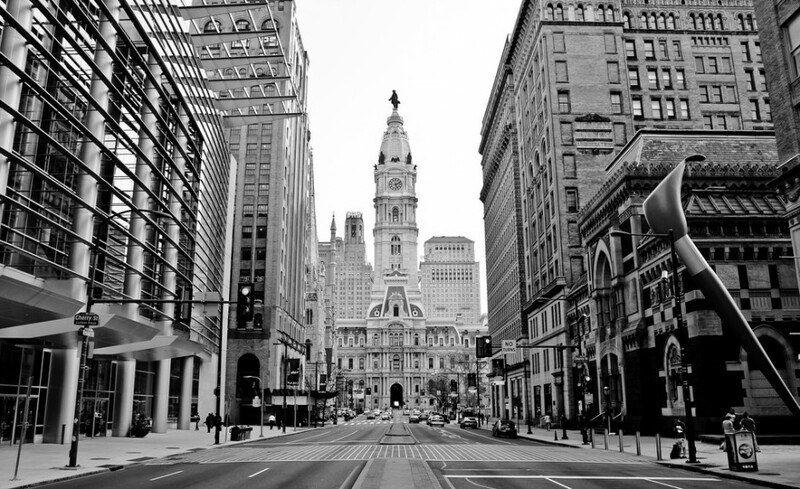 In Philadelphia, renting is not cheap in 2015. Especially if you want to rent a home/apartment that is brand new. Popular neighborhoods in Center City and University City still remain expensive (think Rittenhouse, Old City, UPenn/Drexel area, etc), and popular neighborhoods in other parts of Philadelphia are not cheap either (think No Libs/Fishtown, Fairmount, Manayunk/Roxborough, etc). 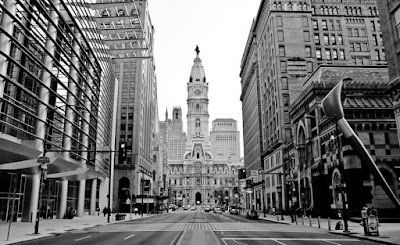 But … while Philadelphia currently has many expensive homes for sale, there are still many reasonably priced opportunities to be had as well; and they might just be right down the street from where you want to live! North Broad is having a moment, and good things are happening around projects like this one. I received an email recently from one of my online/print media contacts, Julia West. Our conversation focused on the following, “What kind of effect does ‘green space’ have on the real estate around it?” Whether it’s a neighborhood park, local running/biking trails, tree-lined streets, etc. Have there been any local studies done on green space? How does green space help the people who live around it? How does green space improve Philadelphia’s neighborhoods? 1. Have there been any local studies done on green space? : I found one study through some online due diligence conducted by Wharton at UPenn in 2006, and it said that “Philadelphia homes in close proximity to new tree plantings showed a rise in valuation of 9%.” Now, that’s a very defined statement, but I believe it rings true in Philadelphia nonetheless. If a buyer is looking to purchase a home in a dense Philadelphia neighborhood, and they had to choose between a tree-less street or a tree-lined street, I’m sure you would agree with me that the buyer would most likely choose the tree-lined street. Please know that the home’s location, price, size, and condition would all play important roles, but if block appearance and curb appeal were the most important factors, that’s probably how it would play out. Since there are many blocks in Philadelphia where trees have been removed due to sidewalk issues and/or neighborhood neglect, I can see why new tree plantings help as much as they do. 2. How does green space help the people who live around it? : In my professional opinion, I feel that green space offers 3 major benefits to those who live around it: 1) Better quality of life, 2) Healthier residents through recreation, and 3) Stronger/Safer neighborhoods. Again, this is just my own opinion and not fact (as I did use the word “safer,” which is a no-no for Realtors), but I feel there is some logic behind it. More green space can lead to a more-attractive neighborhood, accessible green space allows the neighborhood to use it more frequently, and if neighbors take care of their local green space on a regular basis it can lead to a more-involved/more-aware community (e.g. Rittenhouse Square, Franklin Square, Fitler Square, etc). Much of Philadelphia’s green space is a shared resource, which means that healthy green space can become a desirable amenity. 3. How does green space improve Philadelphia’s neighborhoods? : In a city like Philadelphia, which has many older/dense neighborhoods due to rowhousing, narrow blocks, and tight sidewalks, green space can make a neighborhood feel more inviting. Tree-lined streets, small parks, or even close access to Fairmount Park can make a big difference in peoples’ lives. A more livable neighborhood, is a more desirable neighborhood; therefore, it can be perceived as a more valuable neighborhood from a real estate perspective. I hope you found this information valuable, and I hope to contribute to future articles on Metro Philadelphia.